Detachable protective cover, which can be used as a weighing pan. Measures 45 x 76 x 13 mm. 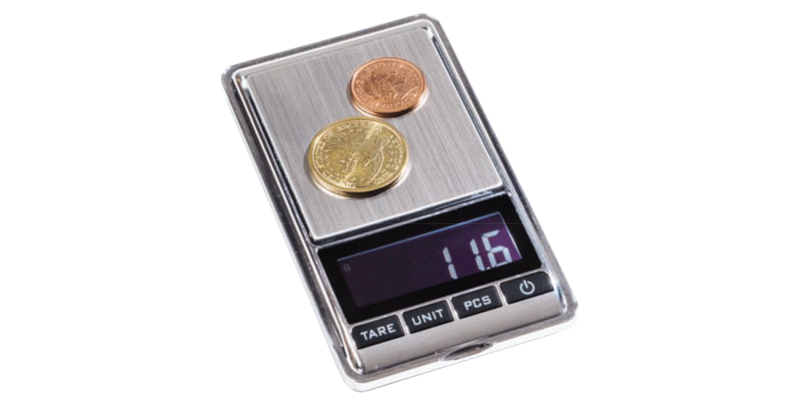 Our digital coin scale in a handy pocket format, featuring: Illuminated LCD display with automatic switch off after 60 seconds to conserve battery life. 6 different weighing units: g, oz, ozt, dwt, ct, gn. Weight tolerance +/- 0.03 g.